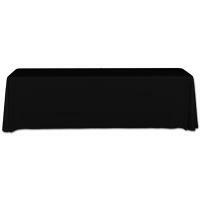 Custom Fabric Table Covers available at competitive, low prices! Full Size Four-sided Trade Show Table Skirt is a Custom made Twill Fabric Table Cover available as a Full Size 4-Sided Skirt. 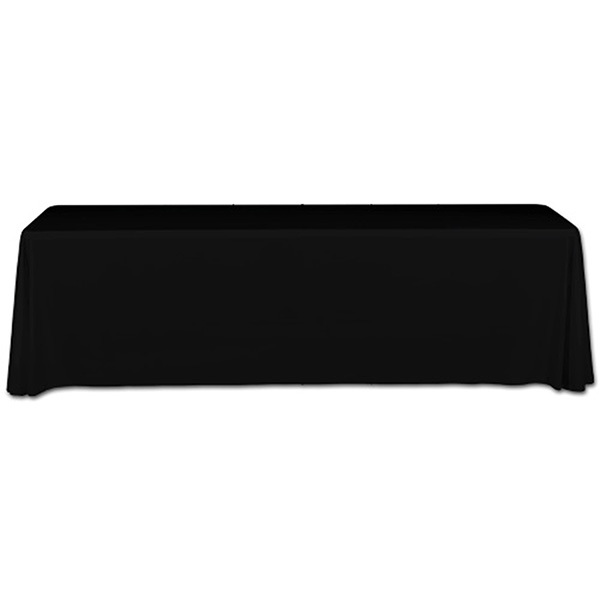 For table covers that are made of flame retardant, 100% Polyester fabric, you've come to the right place! 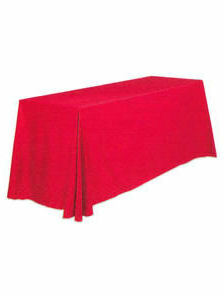 Full Size Throws drape to the floor around all four sides of the table, and come in 6' and 8' sizes. One piece, available in your choice of over 50 colors! ** The above prices are based on 30" high standard table. If you need a 40" counter height throw, or another custom size, please call us for a free custom quote.